Karan Johar’s ‘Koffee With Karan’ to return with Priyanka, Nick as first guests? 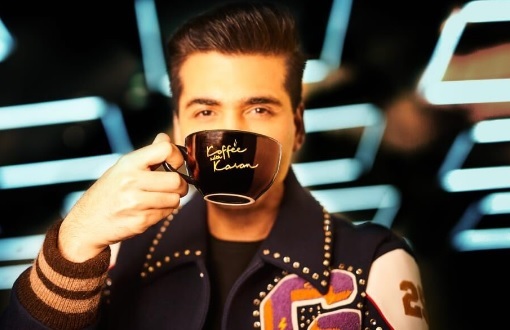 Filmmaker Karan Johar has announced the next edition of popular celebrity chat show Koffee With Karan. On Saturday, Johar took to Twitter to tease his fans and followers about the upcoming season of the show. “Time to wake up and smell the… Coming soon,” Johar posted with an emoji of a coffee cup. He also shared a photograph which showed him shooting for the sixth season. The colour of the mug has changed from yellow to black this season. The show is aired on Star World in India. Johar’s chat show is hugely popular as he gets his celebrity friends and fraternity members to open up about their lives in an up, close and personal way. In the last season, the episode with Kangana Ranaut was much talked about as she branded Johar a “flagbearer of nepotism”, leading to a debate that continues to rage in the Hindi film industry. There is already talk the first guests on his talk show could be the newly-engaged couple Priyanka Chopra and Nick Jonas. The first episode is set to air on October 21.